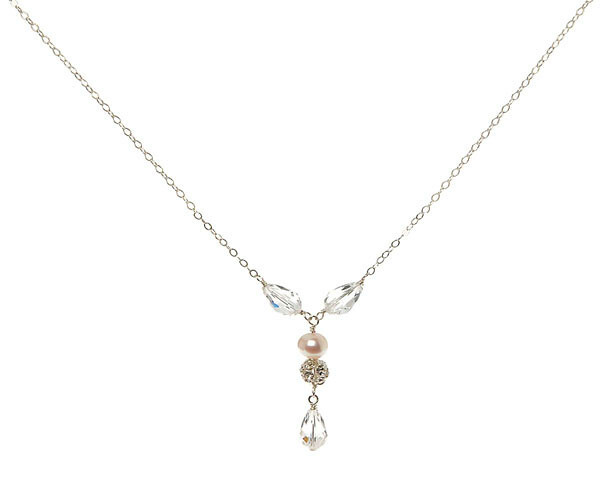 This pretty Angel pendant necklace features diamanté spheres, freshwater ivory pearls and crystals on a silver chain. This is perfect for vintage-style with it's delicate drop detail. Style with other accessories from the Angel collection.